Over the years, the Dallas real estate market has always ranked among the top 10 markets in the United States to invest in the PwC’s Emerging Trends in Real Estate® Report. While it ranked 5th in last year’s report, it climbed all the way to become the #1 market to watch in 2019, beating top markets like Seattle, Austin, and Boston. Real estate investors across the nation are now turning their eyes to the city, searching for investment properties for sale to capitalize on, and so should you! Owning a rental property in the Dallas real estate market will surely reap great returns in both the medium and long-term. Here are the latest real estate market trends that contribute to making the Dallas real estate market the best place to invest in 2019. The latest report from the U.S. Census Bureau shows that the Dallas-Fort Worth-Arlington metropolitan area has experienced the biggest population growth over the last year – an increase of approximately 146,000 people. The main factors drawing people to live in Dallas are the city’s low cost of living and tax efficiency. In addition, a significantly high percentage of the population is in the 0-24 and 25-44 age cohorts looking for rental properties. Moreover, there are two types of migration Dallas is currently seeing: domestic and international. All of this means that the demand for housing in the Dallas real estate market is ever-growing, making it the best place to search for investment opportunities in 2019. Another thing that property investors in the Dallas real estate market are benefitting from is the fact that the city has a business-friendly environment. Many companies are relocating or opening branches in Dallas as a result of the low cost of doing business, lower taxes, and fewer business regulations there. This, in turn, has created great investment opportunities for property investors in both commercial and residential real estate. In addition, when any housing market has a healthy economy, this translates to higher property values, rental rates, and return on investment. The new population moving to the city is supporting the labor force and job market. In fact, Dallas experienced a 4.3% growth in the job market in almost every major economic sector, from information to construction, energy, finance, and professional and business services. Consequently, this further boosted its economy and made its housing market all the more secure. The educated, younger population in the Dallas real estate market is driving the labor force and, in turn, increasing the demand for investment properties. A real estate investor would certainly enjoy renting out to these reliable tenants and benefiting from high rental income and positive cash flow. Related: What Are the Best Locations for Cash Flow Properties in the US Real Estate Market? The Dallas real estate market also attributes new construction as a key to its recent success. Developers in the city are building moderns infrastructure and creating spaces where people would love to live and work. According to the PwC’s Emerging Trends in Real Estate® Report, “One-third of new construction is concentrated in just a handful of markets: Dallas, California’s Inland Empire, Atlanta, and Pennsylvania.” Moreover, as the top market to watch in 2019, this new construction of investment opportunities in Dallas is in every sector: single-family homes, multi-family homes, apartment buildings, etc. As a result, the supply of investment properties in the city is keeping pace with the demand. Based on this fact, experts claim that the Dallas real estate market continues to experience strong absorption. As a matter of fact, JLL’s 2018 Q1 Office Outlook Report stated that housing markets such as Dallas, Indianapolis, and Tampa saw strong absorption and have shot to the top of the most in-demand markets in the country. Numerous cities across the country are expecting an increase in home values in the upcoming year as a result of the strong demand. This is true for the Dallas real estate market as well. 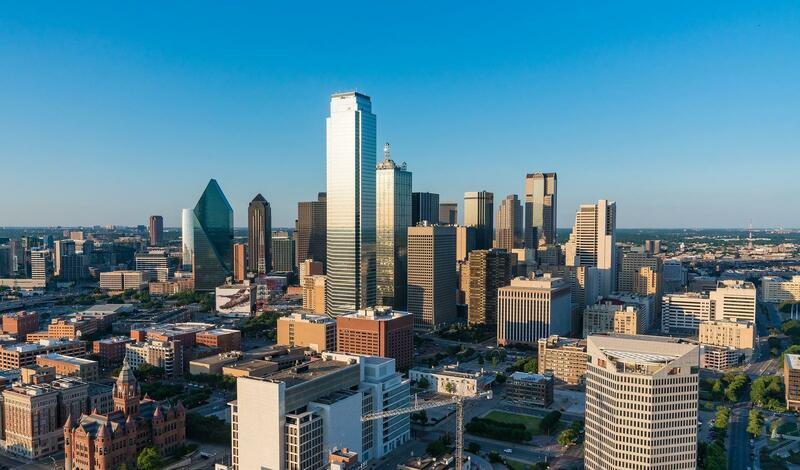 Despite the attractive low cost of living, a lack of affordable housing is as an issue for property investors looking to buy Dallas rental properties. According to Zillow, home values in Dallas increased 11.2% as of May 2018. The company also predicts that home values in the city will continue to increase another 5.1% over the next 12 months. Click here for more information on this property and to find other affordable rental properties for sale in a matter of minutes using the Property Finder Tool. These numbers and data come from our Investment Property Calculator – a real estate investment tool that will boost your investing career. You can use this calculator to find readily calculated projections of the profitability of investment properties in different neighborhoods in any city across the US housing market. To start looking for and analyzing the best investment properties in your city and neighborhood of choice, click here. As you can see, Dallas is clearly one of the fastest-growing housing markets in the country. There’s a lot of positive indicators to support this from the increasing population and high demand to the strong labor force and construction of new real estate properties. Therefore, we highly recommend you consider investing in the Dallas real estate market next year if you’re looking for profitable opportunities to grow your investment portfolio. Sign up with Mashvisor to start your property search! We use comparative and predictive analytics to help property investors find, compare, and analyze the best investment properties in the US housing market. With our investment tool, you can turn a 3-months’ search into just 15 minutes! To start your 14-day free trial with Mashvisor and subscribe to our services with a 20% discount after, click here. Do you have questions about Mashvisor? 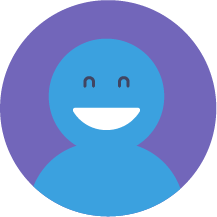 Click here to read our FAQs and learn about our tools. Aspen Real Estate: Are the High Prices Worth It? Using Debt to Buy Real Estate: Is It Worth It? What Cash on Cash Return for a Rental Property Can You Expect in 2018? What Are the Best Locations for Cash Flow Properties in the US Real Estate Market? Why Investing in American Real Estate Is Your Best Option? 2019 Seattle Housing Market: Still a Good Choice for Investment?